Have you seen what’s happening at the old public bogs by Lark Lane? Churrasco Steakhouse – the meaty Mecca, just around the corner from Lark Lane on Aigburth Road, did indeed used to be an old public toilets. It was more commonly known as the ‘Wench Bench’ and with a title like that to shake, it’s taken a little while to convince people that the days of necking 6 lites of White Lightening under the Aigburth sky is now a thing of the past. Sadly. After documenting the opening of venues for some time now we’re used to the story of a glass of something alcohol influencing the namesake and in some cases, the whole idea. Churrasco hasn’t veered from that very formulae. It was a bottle of Rum that led to their name which is, we’ll save you the Google, a Latin-American inspired term referring to beef or grilled meat. The owner is Graeme Parry – a lovely man who’s been working in restaurants and bars for the last 10 years. After running several places across Liverpool and eventually moving to London, he soon realised there’s no place like home and took the rather bold move to open his own place. 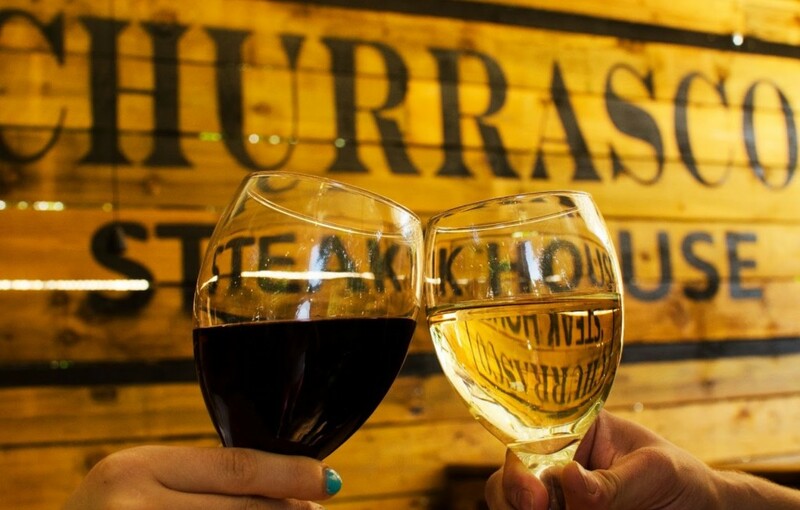 Churrasco Steakhouse is perfect when you’re in one of those: ‘I can’t decide what to eat because I want everything’ moods. This has almost become our standard emotion for most days. Even though we’d never usually share our foods, we’d heard about the infamous sharing planks so decided to go for a sharing starter plank and a sharing meat plank. We know what you’re thinking, a plank for both started and a main? Yes, we’re as equally impressed and disappointed in ourselves. The starter plank came with BBQ ribs, cheesy nachos, salt and pepper chicken wings, chicken and chorizo skewers and garlic bread. What a line-up that is. The foodie 5-a-side team of dreams. Already booking your table here? Well, listen to what we had for our main. 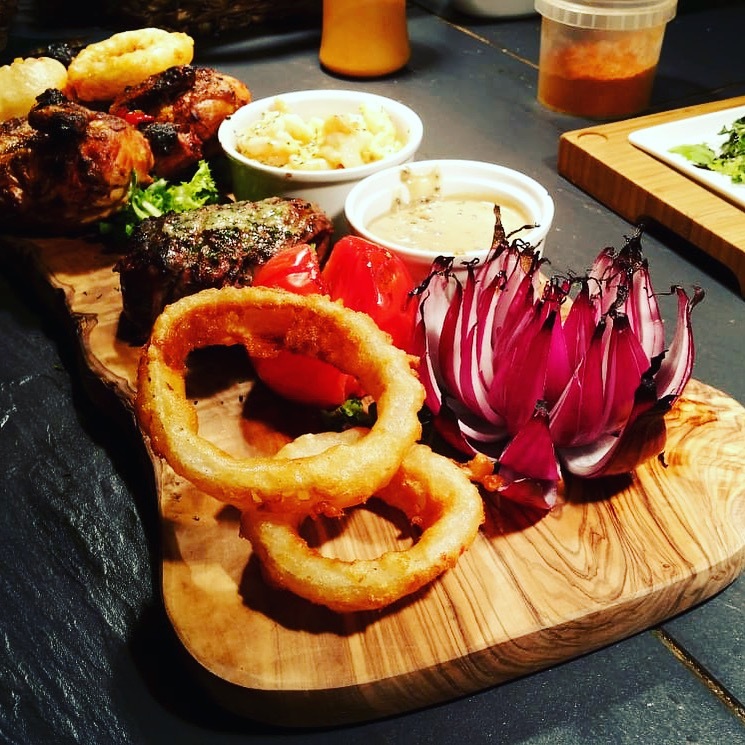 Beef fillet steak, garlic and chilli king prawns, piri piri poussin, salt and pepper veg, onion rings and chips. 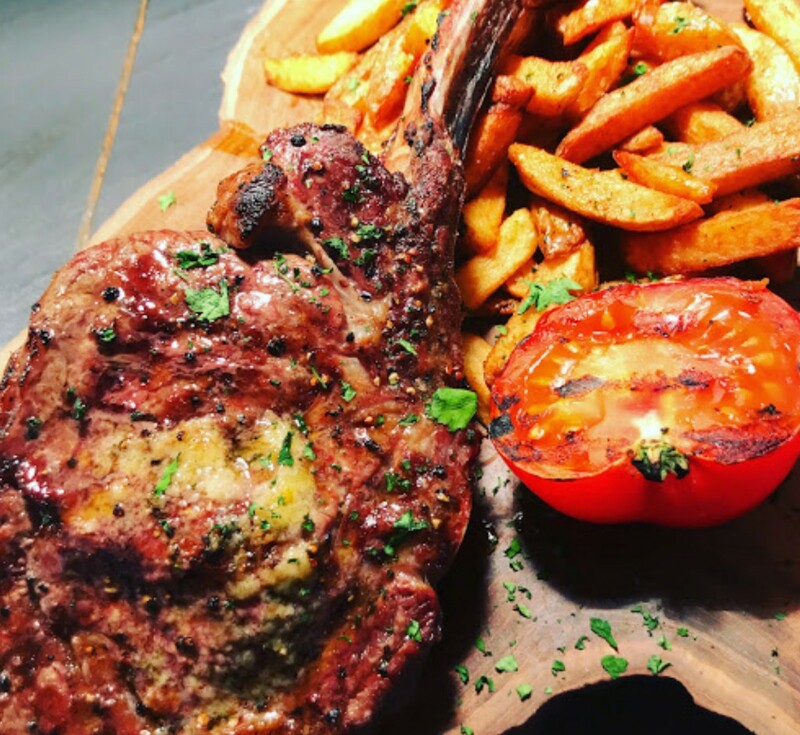 Churrasco’s aim of not letting you leave hungry was well and truly fulfilled and we caught ourselves moaning out loud on more than one occasion. The menu is full of gems, though. 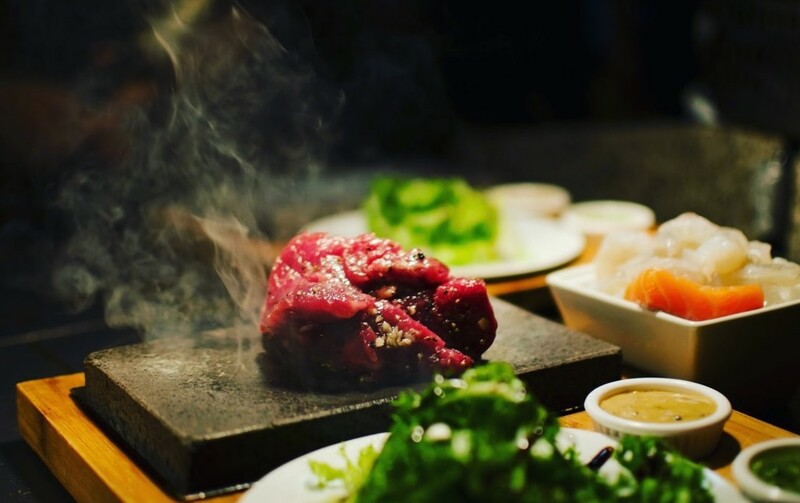 Beef, as you can guess, is King around these ways with many flocking for the steak stone experience where, if you don’t trust the chef, you can cook your own steak to perfection at the table. This is what Churrasco hung its hat on in terms of quality when they first opened and it’s still popular today. Now traditionally you’d go for a bottle of red with all that red meat but on this rainy Tuesday evening, we fancied being mavericks and made our way through the extensive list of martinis. French Martinis, Rhubarb Gin Martinis and even, get on this, a Nutella Martini. Nope, seriously. A freeze-dried raspberry rim with Nutella cream, Chamboard and Frangelico. It was just as good as it sounds and it was at this moment we set the benchmark for all our desserts to get us drunk. Maybe it was the dessert cocktail or maybe it was the meat sweats but throughout the meal we fell in love with Churrasco Steakhouse’s warm and lovely atmosphere, great service and wonderful food. Despite being on one of the busiest roads in the city it still feels like a hidden gem and one we implore you to visit. It’s amazing what you can do with some old toilets.